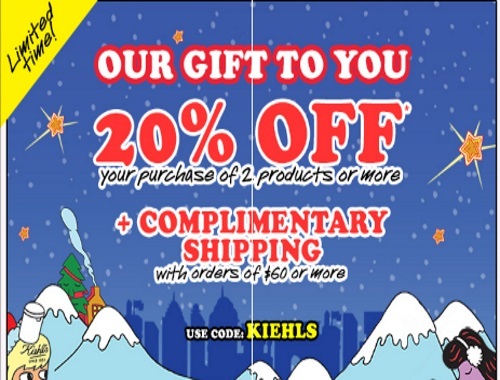 Kiehls has their biggest sale of the year right now! Save 20% off when you purchase 2 or more products, plus get Free Complimentary Shipping with orders of $60 or more. Enter the promo code KIEHLS at checkout to get the discount. Offer is valid until November 21, 2016.